Chess will never take its true place as the “KING OF GAMES/SPORTS” if we do not think big and aim for the galaxies!! Can’t wait for the tournament!!! It’s going to be a historic event! I play 4-5 tournaments a year, but this one will be the most important for me. i wont go as a matter of principle, if you are paying that much its not for the love of the game. Anyone who is say a genuine under 2000 will be chucking their money away to give to some sandbagger, these big class prizes are just ridiculous. Two weeks ago, Ashley announced his $1,000,000 chess festival to a chorus of applause by some who feel that it would give the chess circuit a needed boost. Ashley has been voicing his concerns about the stagnation of American chess circuit for the past several years. He has not only voiced his concerns, but has sought to do something about it. In 2005, he organized the $500,000 HB Global Chess Tournament. It was considered a rousing success from the players’ viewpoint, but the sponsor choose not to reinvest. Since Ashley had stated that poker players have been playing much more to win the famous prizes, many felt that there was a connection being drawn to poker. After launching the tournament, Ashley had even asked if chess players are less passionate about chess than poker players are about poker. There were comments on chess.com and poker blogs about a man who spent a year recycling cans to get the $10,000 entry fee for the World Series of Poker (WSOP). Apparently, this became the “Cinderella” story of that WSOP tournament. WGM Jennifer Shahade has endorsed the Millionaire Chess Open and will most likely be doing double duty between chess and poker. Photo by cardplayer.com. No one is advocating that a person collect cans to pay $1,000 entry fee, but the point is that if one is determined, then perhaps there is a way to raise the funds. Even then, chess players had another issue… winning! The difference with poker players is that they bet on their skills and luck. Chess players know that if they are not good enough, they will be crushed and almost certainly lose a grand. ANYONE can win at no limit Texas hold’em poker if you understand the game and have played it enough times. The proof is there for all to see. Poker has a massive luck factor. But Joe Bloggs, paying a thousand bucks thinking he’s pretty handy at chess would have to be a total loon to think he’d beat a GM and even worse a super GM. If Naka and Co enter then you can say goodbye to your money. Not sure everyone would agree with this assessment of poker, but the rigid probability may give amateur poker players a better chance. Of course in chess that is why you have different sections where players of the similar ratings will compete… not a GM against a 1600 ELO player. Players will have a chance to win one of 50 prizes playing those of their own strength. “srdiamondd” posted an insightful comment on chess.com. The true chess player will not just see this as “a must win your money back event” only. If everyone had to be guaranteed to win then that would truly be some fantastic event like our club has for our youth. If you don’t go, you can’t win, and that is guaranteed. I hope to enjoy the hospitality of the organizers who I trust will be doing their best to make this a memorable event. To address these concerns and others, Ashley came out with a response a few days after the event. He expounded on the goals and the value-added benefits that make this tournament different from others. Others simply felt the tournament details left a bit to be desired or had an issue with the chances to win. The total prize fund of the Open section is $407,000! In addition, we go to 50 places in each section instead of 10 in most events. Please crunch the numbers any way you wish, and I think you will see that we stack up very well. One well-known player had concerns that the tournament did not provide any “breakthrough” and that the economic model is identical to other major open event. So what do you get for $1,000? Ashley posted some of the responses at The Chess Drum and below he addressed the fee/prize issue. If you look at the prize to entry fee ratio of our event, you will find it is the best of any major tournament in the US. The total prize fund of the Open section is $407,000! In addition, we go to 50 places in each section instead of 10 in most events. Please crunch the numbers any way you wish, and I think you will see that we stack up very well. One of the factors playing to Ashley’s advantage was the success of the HB Global event and the fact that the prizes were paid out promptly afterward. 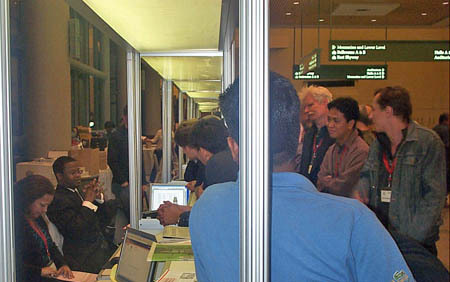 The tournament was a hit amongst its attendees and perhaps the sponsors’ withdrawal kept it from becoming a mainstay on the American chess landscape. What it did was raise the standards of tournaments, but with the Millionaire Chess Open, he plans to make the tournament one in which sponsors will want to be a part of. GM Ashley (pictured left) helping to award winners with prizes at HB Global. The tournament was a rousing success with the players! Photo by Daaim Shabazz. Since the announcement, several strong players have expressed support such as GMs Gregory Kaidanov, Dmitri Gurevich and Robert Hess. Other chess personalities such as commentators WGM Jennifer Shahade and IM Lawrence Trent have given the event endorsements. Some of high profile players have shown skepticism. Interesting experiment, although I won’t be participating. First of all, they are not offering conditions to anyone. Secondly, the format is basically “winner takes it all”. For example, $40k for 1st and only $5k for 4th in the 2350-2499 group. I have no idea why certain pros waste their time and money playing in such events. Gambling spirit maybe?! Anyway, let’s see how this goes. While she is correct that Millionaire Chess franchise is not offering conditions (at this time), there is NO accuracy in the “winner takes it all” format she articulated. There are 50 prizes in each section. In addition to the 50 prizes in the Open Section there are eight additional prizes, with four each in the under-2350 and 2350-2499 class of players. While some argue that this tournament is unaffordable for “most chess players”, it hopes to attract 1500-3000 entrants. Perhaps some fail to understand what Ashley is trying to accomplish and it will be a gargantuan task for the company to reveal the glory of chess on one of the world’s biggest stages. It is up to chess players to prove that chess deserves a higher profile. Will the stars line up? No… not talking about another prophecy of the Mayans. 🙂 Will the tournament gain any star power? I would imagine that if the Millionaire Chess franchise got a couple of sponsors they will be able to made some changes in incentives. I am not certain about this, but if I recall correctly, the prize fund for the world Open, went up noticeably after the conclusion of the historic HB Global. If this unparalleled event is also a success, history may repeat itself. Constructive analysis help makes things better, but for any chess player to start making faultfinding remarks is just beyond me. You either will or will not play. I don’t think it’s a bad idea to just support GM Ashley and his sponsors in what they’re trying to achieve. I’m not sure why people would go on a crusade to say bad things about a chess event unless they had reason to believe that the efforts are disingenuous or a scam. I’ve read the comments at both chess.com and chessvibes.com and there is a mixture of expressions… many supportive, others rife with rumor, inaccuracies and downright disdain. That Maurice Ashley could be attempting something so bold seems as an affront to some. For others, they were rather uninformed about some of the details. This is something that could be remedied simply by reading the details on the site or sending an inquiry (http://millionairechess.com/contact/). Some stated that “most chess players” cannot afford it, but what matters is whether 1500 can afford it. People who detract would probably not play if they could afford it or had the time slot. There are people who bristle at innovative attempts and we had them at the HB Global (i.e., AJ Goldsby). Of course you will always have naysayers to innovative ideas… resistance to change. However, you just have to go forth with your idea. Those who will support it, we be part of a historic event. Those who can’t make it, but support the idea will able to follow the event from home. Those who want the event to fail will be waiting for something to go wrong so they can gloat. These are people chess can do without. 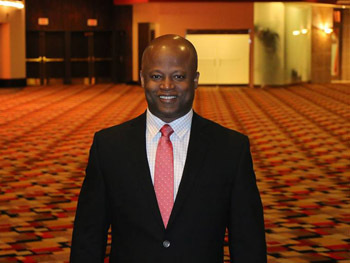 “In 2005, Grandmaster Maurice Ashley brought the world a half-million dollar prize fund chess tournament, open to any player who wished to compete against players at their own skill level. I traveled to Minneapolis to observe, and what I saw was the most professionally organized and supervised event of its type ever presented in the US – an even that made chess players proud to attend, win draw or [learn]. “Consider several things before concluding that this is a bad deal for players. “For one thing, if the EF was $100, and the prize fund $100k, it would look to many US players as a great deal. Multiply each by ten, and does that change? Other costs do not increase, only the size of the buy-in to go for the increased prize pool. “Establishing the arrangements and engaging in the promotion necessary to attract entries is, in itself, a very real expenditure of time and money, and ties up a major hotel, too. “I remember when ICC converted from free to for-pay ($49 annual membership) in 1995: people called that exploitive, too, but it turns out that if you have funding, you can provide a lot of services that benefit the players, and thus, provide more value. I organized and/or directed more than 100 tournaments in the 1980s, including the largest US Open in the century or more of it’s history, and the first west coast $100k prize fund. What Maurice is doing for chess – first with the $500,000 HB Global Challenge, and now with the Millionaire Chess Open – is taking the sport of chess to a new level. As the famous mixim goes: “Lead, Follow, or Get out of the way.” Maurice is a great leader for chess, and I’m a follower! There are a number of skeptics and I may have read the same unflattering comments. There is a lot of precedence for events that were condemned in the beginning. If people have a great concerns about spending this amount of money for entry fee it cease to become appreciable entertainment and more so risky or speculative gambling. While this event may appeal to many it does have obvious financial limitations. Any tournament you play in carries risk. The ratio is competitive here… the entry fee is much higher, but so are the prizes. The other expenses are the same. We go into a tournament knowing our chances of winning. Most of us do not play knowing we’ll win anything. In fact, 95% of the time, we won’t. That may be the problem. We don’t win enough and we are not expecting to win in this $1000 entry fee. So… what are we getting for it? Maurice has to answer that with a cost-benefit analysis. As you can recall, people had similar concerns about the HB Global when it was first announced. It was $345.00 and people screamed that it was too high. You cannot have a prize fund of $1,000,000 and have an entry fee of $200 or even $345. Chess is not awash in getting sponsorships… not USCF, not AGON, not FIDE (who can barely hold tournaments without Kirsan’s largess), not Kasparov, not individual players. Many players have financial issues, but they simply will not go. Some can afford it, but will not go because they’ll find another reason to oppose it. If there are not 1500 people who can support a tournament like this, then it is no wonder than chess continues to suffer in terms of marketability. What sponsor would want to be involved in a low-stakes, $100,000 tournament where entry is $100, you have paper wall charts and rounds starting late? Poker players pay thousands to enter one tournament. At least in chess, you are playing people your own strength. However, it will come down to chess organizers finding the right formula. I believe the marketing machine should have been set up to paint a better picture upon announcement. Maurice is scrambling trying to paint amidst the firestorm. However, he will get many supporters. I have a slightly different view of how to use star power to attract attention and have expressed this to Maurice. The word I’m hearing is that some GMs are concerned about paying the $1000 because they usually get free entry, appearance fees and other conditions. With a tournament of this size, with the overhead it carries, no sponsorships and it being a NEW tournament, you can drain the resources quickly and you will not be able to fund the event. First, I am not taking a pro or con approach just suggesting that the participant pool will have financial limitations. Taking the perspective from a strategic marketability approach promoters must look at the facts and assess the pros and cons. 1. Who are the desired participants? (It does not appear to be the average club players or average tournament player). 2. Who will the tournament benefit? Average chess players, professional players, scholastic players, club players. 3. How will sponsor benefit? Will sponsors be a good match for the chess community? Can sponsors overcome the frugal or analytical nature of most chess players? 4. Potential chess image conflicts and control? Scholastic chess activities continue to rise because of chess related benefits. Will parents, school administrators, etc. be turned off by the nature of a high roller type match. I just think these are just a few of the questions that might impact the chess community and general public. Not sure about financial limitations. Certainly… some have those limitations, but chess players come in many different flavors. Some do not have the same financial limitations and not all are frugal. Out of about 78,000 members of the USCF and the millions around the world, there are indeed 1500 chess players who can afford to play, but the trick for Maurice is finding out how to reach them and offer the right value proposition for paying the expenses to compete. 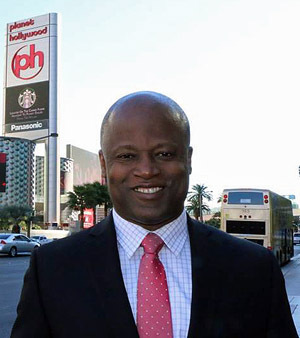 I can’t speak for Millionaire Chess and Maurice Ashley, but what I believe he is trying to do is raise the profile for chess. Chess has been stagnant with the same poorly-run tournaments with paper cross charts and “bring your own set/clocks” for decades. From what Maurice tells me, this will tournament will be a first-class event. The problem is that Maurice has to paint the picture so that these questions are addressed. In the final analysis, the only thing we can control is our own motivation to play in the Millionaire Chess Open. We cannot possibly know the motivation of others, but we do know that there are a variety of reasons and Las Vegas create additional reasons for people to play. Some of the answers will not be apparent until after the tournament is over. These are great points that are obviously well thought out. Thanks for giving me a chance to address some of your concerns. Let me start by saying that it is absolutely clear that the Millionaire Chess Open is not for the so-called “average club player” who just wants to enjoy playing in a few casual tournaments each year or for the scholastic player who wants to play with young people in their own age group. Those players can participate in many other events on the chess calendar. There is little need in creating yet another tournament like the many hundreds out there. Just one visit to the Super Nationals with over 5,000 kids, parents and coaches will convince you that the youth market is being well taken of, and that a copycat tournament would serve no new purpose. 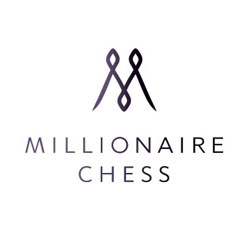 The Millionaire Chess Open is designed for those players interested in enjoying a very different chess experience, one that takes playing in a chess tournament to a whole new level. b) To reward winners in a way that respects all their incredibly hard work. c) To spur other organizers to consider raising their prizes, so that the average GM may one day actually make a living consistent with their skill level. Though GMs have to pay to play, they definitely stand to benefit more than any other group in the long run. d) To be broadcast friendly!! h) To raise the image of chess that hopefully will benefit every other event out there. No chess tournament can ever serve every single market. No one should play in this event if it strains their budget. Out of the current 78,000 members of the US Chess Federation, I trust that there are 1,500 or so who will pay to attend a once-in-a-lifetime event. That’s not counting the entire world-wide audience! There are many wonderfully varied chess events on the tournament calendar, and Millionaire Chess Open hopes to join that special list of tournaments of which chess players can be most proud. I truly hopes it succeeds. Hello Maurice, Thanks for the response. I really do wish the organizers much success. While I raise specific points, they were only to expressed potential opportunities for the competitive chess niche to grow through enriched club experiences. This is the how the billiards leagues grew both members, sponsors & professional support which invigorated their popularity. I think we both can agree that the majority of people play chess not just because they are highly intelligence or a strong player. They play because chess is good clean fun. I think this new concept will determine if the upper income chess players like this format. Thanks for your efforts and giving competitive chess a boost!! It should be stated that 1507 players registered for the HB Global despite the higher price point for entry fee. Most were not used to paying almost $400 for entry. If 1500 players register, that is $1.5 million, but that $500,000 margin will go to covering the wide array of expenses. you’re here to experience it! Personally I am very excited about this event IF it comes to pass. I was surely play and it will be a great moment in chess history. However I am concerned that there is no qualifier tournaments, online or over the board. For a tournament this big (and costly) I see a real need for online qualifiers (chess.com or ICC already have the anti cheat measures in place) or teaming up with other organizers to have some system to seed players into the main event. This would raise awarness, funds and chance for everyone to play. I shared a similar concern on another thread. I very much agree and hope others amplify this point as you have stated it!